This entry was posted in Faversham by admiral. Bookmark the permalink. There will be a Finesse 24, Whimbrel, and a Finesse 21, Ivy May, on the Front Brents berths. These may be visited: contact Nick Ardley on 07747 712505 during the event – day time only. Numbers are limited at any one time and will obviously be at vessel owners’ discretion. An information sheet will be on display by the Front Brents mooring access gate giving basic historical details of these traditionally clinker built, but not old, craft built by Alan Platt, Thundersley, Essex, between 1961 and 1995. Nick Ardley will also have a selection of his east coast books available at £15 only. 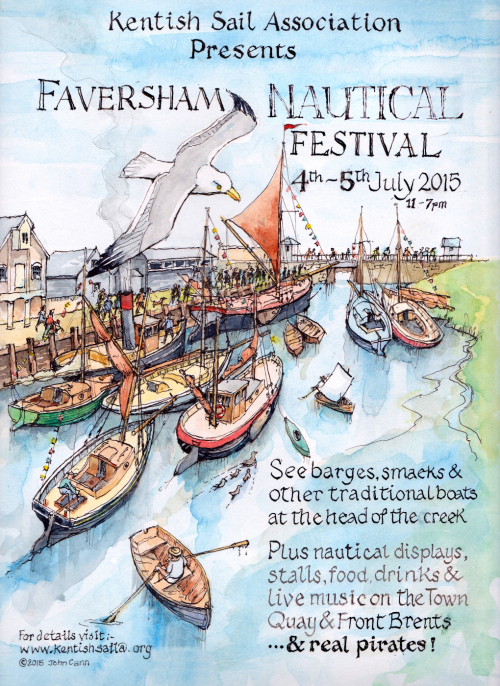 This was a great event and well worth the effort in attending(Going to Faversham couldn’t ever be a hardship…).